If you want to experience the soul of a place, you better start through its food – and you don’t really have to be at that place to have the food. Not making any sense? Well, blame my excitement! The Bengali Food Festival is here and it’s time to feel the love of authentic Bengali recipes. 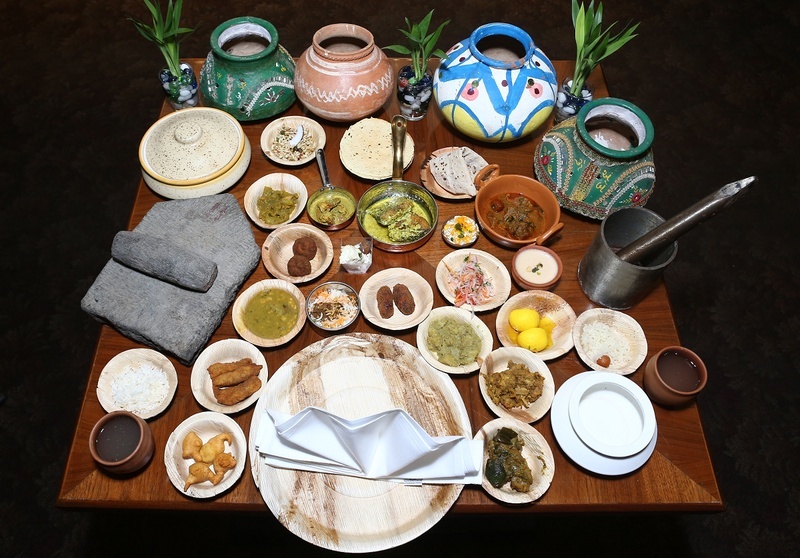 Kohinoor Continental is hosting the much-awaited food festival and this time its Bengali Cuisine. The starters were jhaalmuri which is similar to bhel, the addition of mustard oil creates all the distinction, puchkaa totally different from a paani batashe, paani puri or golgappa! The egg and veg rolls too were spicy and oh-so-bong! Bongs love fried food and no meal is complete without a beguni and vegetable chop! Then there was aam panna and gondhoraaj lebur shorbot to wash all these stuff down and make way for the main course. Well! A Bengali food menu doesn’t always revolve around maach and we got to know it yesterday! Aloo posto, shukto, potoler daalna, panchmeshali chorchori, chholar daal and many more such vegetarian curries are yummy when paired with koraishutir kochuri and bhaat! All these Bengali vegetarian recipes were worth gorging on. For the non-veg lovers it was a frenzy!! Murgi biryani, dak bangla chicken, koshamangsho, kaatla maacher paturi and macher chop! Aren’t you already feeling full? Wait! There’s more - bongs have a sweet tooth and it’s a universal truth! So there were innumerable sweet dishes worth dying for! The Rosogollas, shondesh, mishti doi, sita bhog and laddooos!! Oh wait! This is not enough to satisfy the Bengali tastebuds, so they added ice cream as well! Finally to end this long list there was bangla paan! Aren’t you already geared up to try them all? Kohinoor Continental is the place you should be. This event is the brainchild of Mr Shantanu Roy, Food and Beverages Manager at Kohinoor Continental. The 62nd one in a span of five years of his profession, this Bengali Food Festival gets better every time. When asked about the motivation behind this event, Mr Shantanu said ”June is the month when people are back from a break, vacations end and schools commence, so why not start the month with a food festival, marking the beginning.” Though it is pouring in Mumbai, the footfall is commendable. It shows the dedication towards food and not only Bengalis, we saw people from all sects, there were the Chinese and Americans too who had come to give their burgers and fries a break!